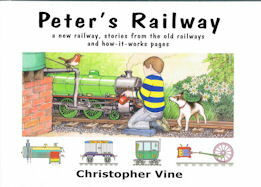 A technical story book, based on the miniature railway. Grandpa tries to answer a tricky question about energy. The locomotive, Fiery Fox, is a wonderful machine. Bright green and very powerful. 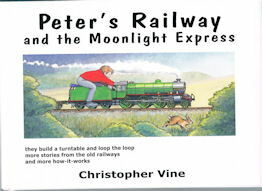 Apart from the pleasure of building the railway and other projects, Peter has loved learning so much about science and engineering. Grandpa always takes the time to answer questions, however tricky they may be…..